Baldo men’s traditional grey cardigan. 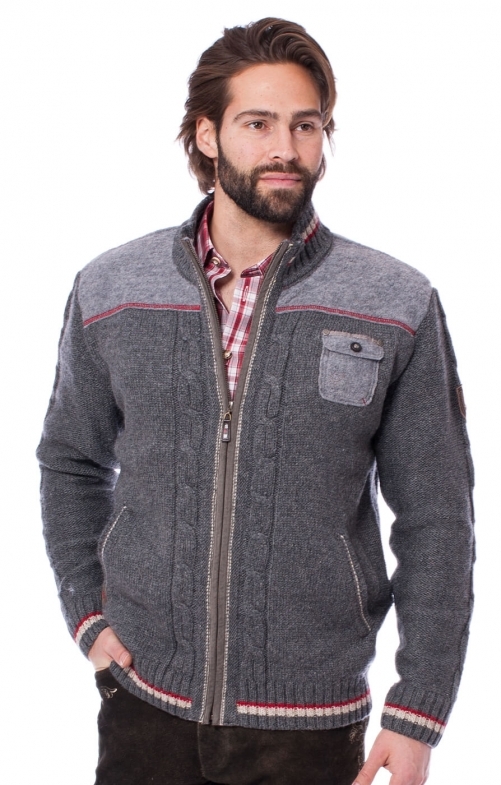 This ultimately stylish and very comfortable grey cardigan has been created from a blend of 70% wool and 30% polyester and flawlessly reflects traditional Bavarian fashion with its shield sleeve decal and small breast pocket. Red-and-white edging on the cuffs and collar adds a finishing touch to this Trachten outfit.